Our Children’s Education is Paramount! Students Deserve Quality Schools! OSPI records indicate that over $15 billion worth of bonds have failed in the last 20 years, predominately in low-income jurisdictions like the Highline School District, where voters recently rejected a $376 million school bond measure. And then another one. 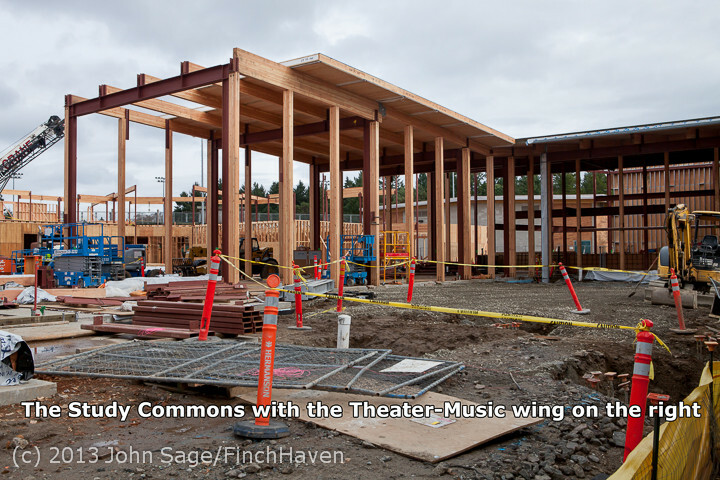 Without the four new/remodeled schools the district sought, many future Highline students will be packed into parking lot “portables,” along with 100,000 pupils statewide. This is unfair. And it is unconstitutional. The DNR mandate provides scant cash for school construction. The DNR could immediately trim off the substantial, self-perpetuating bureaucracy that surrounds its timber sales units. The agency could prioritize preservation and recreation and invest any profits from maintenance harvests into land rehabilitation projects, scientific research or buying new lands. To minimize loggers being laid off the DNR could employ them in the activities listed in number two. Since the DNR prizes education so much they could develop environmental schools, training camps, etc. for young people. Note: Since the DNR contributed on average just $120-$200 million per year that is all that needs to be accounted for. Legislators could pass an education dedicated income tax. Legislators could pass an education-dedicated 1 % increase in corporate B & O taxes. Legislators could redirect corporate tax breaks to our schools. DNR has its own Trust Land Transfer Program. Big Names – Norm Dicks?! A Mandate-less DNR could promote time proven practices and signal new priorities by renaming the current “TFW Agreement” (“Timber, Fish, and Wildlife”), the New “FWT Agreement” (“Fish, Wildlife, & Timber”). Note: That “TIMBER” is listed first in TFW says it all. Managing for conservation, preservation, and restoration of fish and wildlife trumps — timber revenue is last in line as an obj. Forest -fire mitigation is key — the DNR could pioneer new planting and harvesting regimes that maximize forest fire mitigation effects and switch personnel from timber trust sales to fire prevention, mitigation, and fighting. Managing for long-term environmental and conservation goals trumps short-term revenue seeking goals. 80-150 year harvest rotations, depending on species, elevation, growing conditions, location, etc. (instead of curent 35-50 yr. DNR rotations) – Older trees use three times less water than younger trees and help retain it longer into the summer, according to EPA studies on the Nisqually River. “Multiplier effect”: because private timber lands must follow DNR rules, almost half (47.7%) of our state forestlands would suddenly be managed in a FAR more progressive fish and wildlife friendly manner than they are currently. This “multiplier effect” is perhaps the single best reason to drop the DNR mandate. – which reduces water temperatures in smaller creeks, cricks, draws, and seeps, all of which contribute to lower main-stem water temps. Pools and current breaks formed around such trees form cold water refugia like “cold water stepping stones,” as in the Willamette River. Sediment delivery and in-stream sediment loading and scouring is mitigated by mature, mullti-species tree stands, with large root wad systems that hold soils and slopes in place much, much better. Flooding problems are mitigated by the “New FWT Forestry Fundamentals,” especially on the west side of the Cascades and in the Olympics, where more intense rains are expected to make river flooding a common and severe problem.